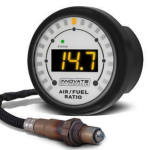 Performance EFI regulator designed for medium to high horsepower applications. 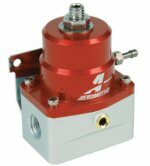 This regulators features Aeromotive’s high-flow design, superb pressure control and legendary durability. 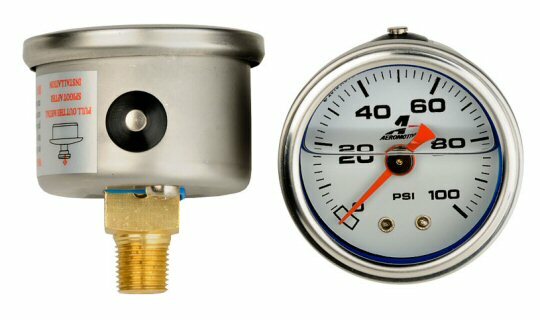 On the street and at the track, this pressure regulator has logged more miles, laps and passes than any other performance EFI regulator in the world! Base pressure adjustable from 40-75 PSI. Popular with modified RX-7's this regulator can be used on your RX-8 however it would require conversion to a return fuel system. This high quality liquid filled gauge is the ideal companion for your inline fuel rail adapter or A1000 Fuel Pressure Regulator. 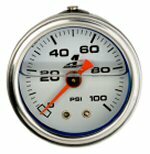 Enabling you to accurately check and set fuel pressure. Includes integral pressure relief valve. The Ideal Companion for your Aeromotive A1000 Fuel Pressure Regulator. An inexpensive insurance policy to protect your investment, proper filtration is key to fuel system performance. 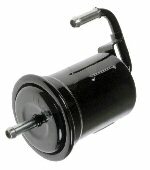 Engineered filter solutions are required to achieve protection with minimum restriction. For 200 - 3,000 plus HP applications, our filter assemblies offer unmatched flow, ease of installation and maintenance, along with the impeccable machining and finish you've come to expect from all Aeromotive components. High-flow, 10-micron fabric (fine) replaceable element. Flows 2,000 lb/hr with a pressure drop of less than 1 PSI. Bright dip red anodized finish for a corrosion resistant, show car quality appearance. 10-micron filters may ONLY be used after the fuel pump to protect your injectors or carburetor. 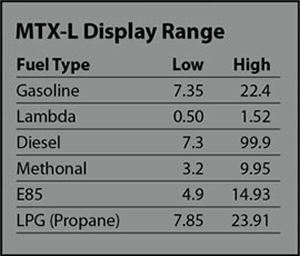 Fabric elements not suitable for use in E85 or alcohol applications. A great solution for getting a high quality filter element in to your performance fuel system. Bosch 1680cc fuel injectors are extremely popular among many of the big power RX-7's however what is usually overlooked are the soft white/yellowish injector 'O' ring found on the top of your Bosch injectors. These soft 'O' Rings are not designed for petrol (they are actually for natural gas) this means that its very common for these seals to start to leak once your fuel rail is pressurized. This can cause the possibility of engine fire one that fuel gets hot enough. These Injector 'O'Ring pack contains 4 high quality fuel proof injector seals enabling you to replace the top seals on up to 4 injectors. Please note these 'O' rings have an approximate outer diameter of 14mm and are designed to fit injector of the Bosch 1680 style pictures above. 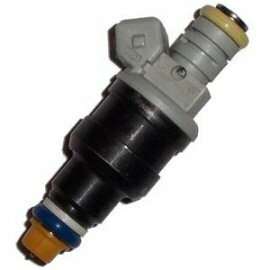 These injectors are commonly installed in many aftermarket fuel rails like those sold by KGParts.